Your HVAC system is responsible for more than keeping the temperature at comfortable levels within your home. It also plays a large role in determining the quality of the air that you breathe on a daily basis. Indoor air pollutants and microscopic organisms can circulate through your central air system and cause you and your family negative effects. 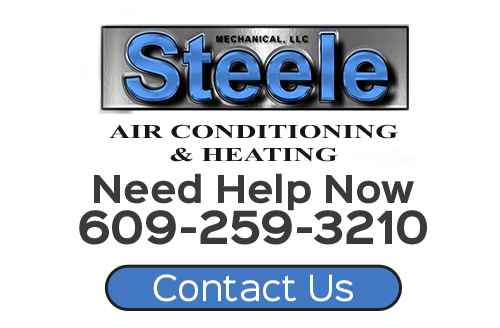 At Steele Mechanical, LLC Air Conditioning and Heating, our air conditioning company can help improve your indoor air quality by installing an ultraviolet light treatment system in your home. Ultraviolet light treatment systems in New Jersey are the latest development in indoor air quality improvement. Improving the quality of the air in your property is important for the comfort and health of your loved ones. Our team takes all of these related services extremely seriously. When you hire our New Jersey indoor air quality experts to install a UV light air purifier in your property, we will make certain that it operates in the best possible fashion for you and your family. If you are interested in the many benefits of an ultraviolet light treatment system, call Steele Mechanical, LLC Air Conditioning and Heating today. Our polite and knowledgeable staff would be happy to take your call and to answer any questions that you may have. We can schedule your consultation today. 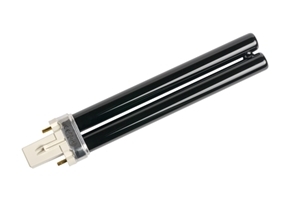 Ultraviolet light treatment systems provide owners with two fantastically rewarding benefits. First, they will improve you and your family's health and well-being by cleaning the air within your home. Specifically, your UV light system will kill microbial contaminants and organisms within your property, reducing the risk for infection and other ailments. Second, your ultraviolet light treatment system can help protect your air conditioner, heater, filters, and ductwork. By killing mold and mold spores, your air treatment system can help prevent these contaminants from harming your HVAC system. When you hire our New Jersey contractors to install your air purifier, you will maximize both of these benefits. The ultraviolet light treatment unit will be installed directly into your central air HVAC system. When your air conditioner or heater is operating, all of the air will pass through the UV rays to be treated. In the process, bacteria, viruses, fungi, mold, spores, and allergens will be killed or neutralized. UV radiation is used to improve the air quality in hospitals and other sterile facilities. Our New Jersey air conditioning company has the capability of bringing this amazing technology to your home. If you would like an estimate for ultraviolet light treatment systems in New Jersey, please call 609-259-3210 or complete our online request form.